Several months ago, I spent some time researching and watching people take entheogens to cure a variety of issues. 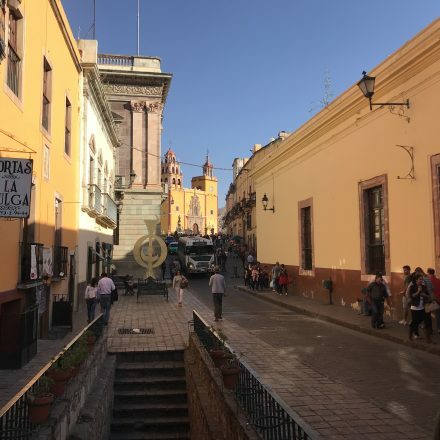 In a narrow alley in a city in Mexico, I waited with a young man named Othello. He was waiting for Matt, a man who administers Sapito (a substance derived from a certain type of toad) to arrive. Matt is not a shaman and he had only a little bit of training administering Sapito, but Othello hoped this substance would help him stave off cravings for methamphetamines. As we waited, I asked him questions. “Five years.” He told me. This was news to me. I’d never considered the possibility that the best meth is imported into the states while Mexicans get the lower quality stuff. Paradoxically, Mexicans might actually be lucky to have lower access to high quality street drugs. But Othello went on to talk about how Sapito helped him manage his cravings for meth. It gives him insight, he said, but otherwise he had trouble describing how it worked for him. I wondered if Sapito was the right choice for him or if Ibogaine might be more helpful, but so little research has been done on these two substances that it’s hard to say. The United States has blocked funding for research so the people (or loved ones) who are affected by addiction have to sort through the propaganda surrounding all naturally occurring psychedelic substances that can’t be patented by the pharmaceutical industry. The propaganda is, of course, scary and prolific. But the little bit of scientific research that has been done on Iboga and Ibogaine has shown a lot of promise that this substance could act as an addiction cure. Iboga is a plant that’s native to Gabon in Africa. Ibogaine is a derivative of this plant that’s easier to measure and dose properly. 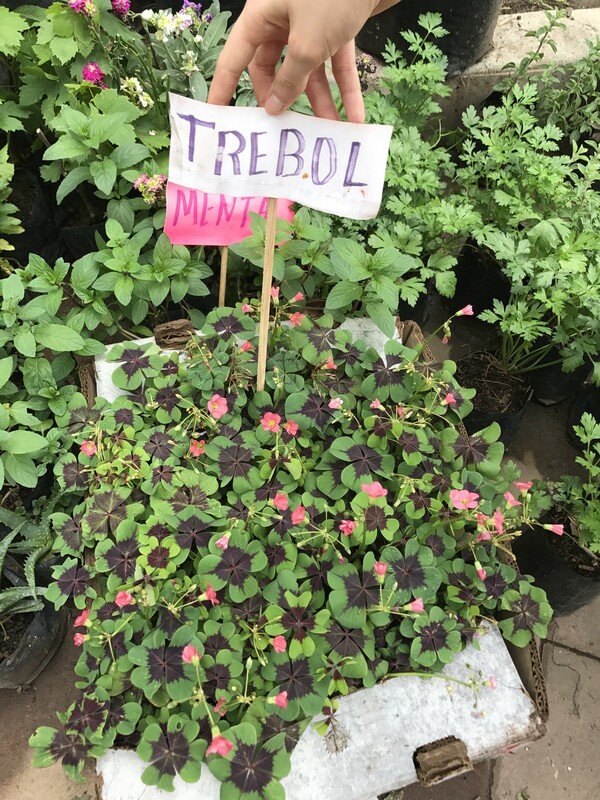 While the plant, Iboga, is used ceremonially in Gabon as a rite-of-passage in the Bwiti tribes, Ibogaine is used in more clinical settings across the globe as a treatment for addictions and PTSD. In the United States, as drug-rehab workers wish for something less addictive than Suboxone for addicts to take to cure their addiction, Big Pharma has blocked the use of Iboga and Ibogaine by claiming that the research to support its safety and efficacy just isn’t there. But the research isn’t permitted and funding has been cut by the same leaders who say that the lack of research legitimizes its prohibition. In 2013, a Rolfer who helped me with a lower back issue I was having told me that she was going to Costa Rica to do an Iboga ceremony. She wanted to cure a sugar addiction and she was also hoping for a spiritual epiphany. When she returned from her trip, the verdict was still out on how she felt about her inner journey. “It was hard.” She said. “It was really awful actually.” She told me as she massaged my lower back. She said that she was uncomfortable for much of the Iboga trip and she wasn’t ready yet to rate it as a positive experience. But though this woman who had worked previously as an RN, had worked carefully to find an Iboga ceremony that was watched over carefully by nurses and doctors, she hadn’t stayed on-site for a week or more afterwards to process her experience. Many of the Ibogaine clinics in countries outside of the U.S. that work with PTSD and addictions require patients to stay for a week or longer to ensure that they have the opportunity to fully process and integrate their experience in a positive way. Over the past 3 years, I’ve been observing, researching, and writing about entheogens like Ayahuasca, Sapito, Peyote, and Iboga. I’ve observed ceremonies in both Peru and Mexico and I’ve talked to a number of people on different continents about their views regarding entheogens and the healing process. Last year, I tried Sapito myself. My experience with Sapito was mixed. Initially, I was really excited about the effects even though the trip itself and the 24 hours afterward were somewhat nightmar-ish, but over the past year, I’ve had a few panic attacks (a brand new experience for me) that I’ve related back to my Sapito session. Having never had panic attacks before, I looked it up and found that I’m not the only one who develops panic in the year or so following a Sapito session. But despite this, I can’t say that Sapito is all bad. In fact, I can also say that I’ve had a lot of stress in my life this year and that the Sapito may have rearranged some of my internal wiring such that I’m experiencing this stress in a different way. But I wouldn’t recommend Sapito to people willy-nilly because of this re-wiring effect. I mean, re-wiring can be the goal, but such a thing is never easy. And when I say I wouldn’t “recommend it” what I mean is that if someone sought it out on their own, I’d be interested in their results and it wouldn’t surprise me if it changed their lives, but I wouldn’t want to be responsible for any negative effects that happen afterwards. That’s all. For me, I felt like I dissolved and like I didn’t exist anymore which is impossible to accurately explain in words. My session lasted for 45 minutes and then for about a month I would occasionally feel like I was dissolving. My panic attacks involved the sense that my spirit was leaving my body and that I couldn’t quite get my mind and my corporal existence to sync up. Matt, the guy who administered Sapito for Othello, was the person who administered Sapito for me too. His thoughts on Sapito and Ayahuasca was that there was no need for a shaman. This is a current trend in the realm of entheogens. People who administer these “sacred medicines” claim that you don’t need to worry about set or setting in order to get something out of using them. And from my own experiences with LSD, Sapito, and Ayahuasca, I would say that this is only partially true. When I woke up from my Sapito experience, a local curandera was there and she wrapped me in a blanket and swaddled me tightly. I overheard people talking and I didn’t understand that they were NOT talking about me at first. So my brain was really suggestible and I was wide open. I overheard someone say something about “one of the wise ones” (in Spanish because I was in Mexico) and I interpreted this phrase as something that had to do with my Sapito session. My brain worked with those words, folding them up and unfolding them like an origami flower. In the wrong environment, if someone said something flippantly at the wrong moment, my mind could’ve latched onto that and worked it into a lather that overshadowed the other elements. So, in my opinion, a supportive environment is important. It may be true that icaros aren’t a requirement, but I wouldn’t personally take Ayahuasca without them because I know from experience that my brain toddles off into wild jungly terrain without some kind of musical corral. So it’s important to consider the context and the motive of the person who administers an entheogen. Matt often describes his substances as “loving”. In Facebook posts he’ll say, “That Sapito was the most loving experience EVER, right?” Groups of followers chime in with all kinds of statements about the “lovingness” of the experience and I can’t help but feel wary of the linguistic framing of such things. Maybe that’s my marketing background speaking, but calling a substance of any kind “loving” seems like a form of black magic in a way. I realize that DMT creates a sense of connection, but my Sapito experience was decidedly NOT loving. In fact, after about 24 hours of processing and nightmares, I’d summed up my Sapito experience as a recap of a past life where I got my tongue cut out of my head. So I have to say that I’ve never done Iboga or Ibogaine, but I’m intrigued by the things I’ve read about its powerful effects on curing addictions or PTSD. According to the literature (both online and in books), it seems that a fair number of heroin, meth, cocaine, and alcohol addicts (just to name a few) can be cured by one Ibogaine treatment. But I can’t speak from personal experience on this one. Rather, I’m compelled to continue looking into Ibogaine for addictions because a magic bullet like that is just the sort of thing that Big Pharma would want to push out of the United States. Since so many people of all walks of life struggle with addiction, Ibogaine qualifies as a potential cure that’s worth writing about. The other entheogens I’ve mentioned like Sapito and Ayahuasca have their place in terms of healing as well, but their functions are more complex and less straightforward. I’ve watched people do Sapito sessions and often they walk away with a completely different way of looking at the world. And honestly, that was my experience too. My view of existence was entirely changed. And that part of Sapito wasn’t negative. In fact, I have no regrets about having done Sapito, despite the panic attacks and the sense that I was having my tongue cut out of my head. But it’s impossible to talk honestly about Sapito without mentioning these negative aspects of the experience. The negative stuff is the meat of it. Without the terror and the nightmare, these substances can easily graduate to become street drugs that people take for pleasure. And unfortunately, pleasure doesn’t teach us much as humans. So for those who are in the market for making change, it’s important to seek out a loving environment (set and setting) because these sacred medicines are not always going to be “loving” themselves. Doing a substance like this is not something to be entered into lightly. Choose a facilitator who provides a good set and setting for the experience. I watched an Ayahuasca ceremony in the Amazon Rainforests of Peru several years ago. A shaman presided over things and sang icaros, which were so much more powerful and amazing than I ever could have imagined after having read about them and watched videos of them. While watching the ceremony was powerful on many levels, a naturalist, our guide in the rainforest told me that “often women will take off their clothes during the Ayahuasca ceremonies”. He asked me why Americans want to come to Peru to do such a thing. He’d watched numerous Ayahuasca ceremonies and his sense of it was that doing Ayahuasca was a lot like becoming drunk on alcohol. And, the next day, when I asked one of the participants some questions about his experience with the plant medicine, he said that “it felt really loving”, but mostly he’d just seen a lot of colors and geometric shapes. Based on my reading, this made me question whether he’d actually taken a real Ayahuasca brew or if the stuff he’d ingested had maybe been one of those cheaper versions of Ayahuasca that give people hallucinations, but that fail to bring about the insights that Ayahuasca is supposed to offer. Our naturalist viewed the Ayahuasca industry in Peru with suspicion and since I trusted our naturalist with our lives in the Amazon rainforest, his suspicions made me correspondingly suspicious. I know that there are ayahuasceros who alter their brew to make some extra cash. An American can’t just go out to the Amazon Rainforest and hope for the best when shopping for an Ayahuasca experience. Ayahuasca is an interesting entheogen in that it’s supposed to “teach” the person who ingests it. It can teach people how to cure themselves and others. It’s the Mother. Iboga is the Father. Ayahuasca, according to this broad dichotomy, is “loving” while Iboga is “chastising”. These subjective describing words do very little to help people prepare for the experience of taking these substances. And that’s not to say that Ayahuasca and Iboga aren’t valuable because I believe they are, but that it’s important to seek out ayahuasceros, a shaman, curanderos, and other legitimate healers who enjoy their craft more than they enjoy the money they make from administering these plants. Americans can be easily duped into signing up for the first Ayahuasca retreat or Ibogaine treatment facility they see online just because access to these sacred medicines is so restricted in the United States. And this political fact can set people up for a bad experience right out of the gate. But there are plenty of legit healers out there who truly want to help humanity overcome what ails them. And I believe that part of the journey toward healing has to do with the search for the right healer or the right facility to administer these substances. For people who are suffering from PTSD or addiction, it might be wise to find several treatment facilities or facilitators and visit them all before committing to a particular one. Find a facility or a person who makes you feel comfortable and at ease. Because set and setting are important when you’re opening up your mind to clean out all the garbage. While I’m a big fan of plants and I think that they can love and be loved, when I’m looking for a healer of any kind, I seek out healers who make me feel loved and who can create an atmosphere of love. The entheogen may be loving, but if the healer only cares about the bottom line, the experience might be negatively affected by that. Such a quest might involve phone calls, emails, and hitting the streets to ask questions in-person to find the right healer in a foreign country. Often the search for something this powerful and important ends when the healer finds you. The search itself is a powerful symbolic gesture and a part of the “opening” process that can lead to healing. NextShould Your Child Take Ritalin?